Readers Write: "Life Partners Holdings (LPHI)?" and "Could you elaborate....?" I have been battening the hatches, sitting tight while the waves have been washing over the deck :). There haven't been many new stocks moving strongly higher to write about. There are a couple of names that have indeed moved higher, but either I never got around to it, or simply, I have written up the stocks within the past year and don't want to repeat myself too often. Anyhow, I did get a couple of letters from great readers who write great questions. As an amateur, I shall try my best to respond to these inquiries. If any of you would like to add your thoughts, please feel free to add comments to these or any of my entries, or drop me a line at bobsadviceforstocks@lycos.com. Your comments and ideas are always welcome. If you could, let me know your first name and your general location. Just makes everything a bit more personal I guess. Do you have any thoughts on a stock like this (LPHI) that is blowing numbers away but is already up over 200% since the first of the year. I have no position and am tearing my hair out trying to decide. It could either double again or pull back 20% in a heartbeat. Any thoughts on situations like this." Thanks so much for writing. First of all let me take a very brief look at LPHI for myself and for the rest of my readers. First of all Life Partners Holdings (LPHI) closed at $35.31 on 6/22/07, up $.73 or 2.11% on the day. Not a bad performance in such a miserable market. "...through its subsidiary, Life Partners, Inc., operates as a financial services company that provides purchasing services for life settlements in the United States. It facilitates viatical and life settlement transactions by identifying, examining, and purchasing the policies as an agent. Life Partners Holdings' financial transactions involve the purchase of life insurance policies of terminally ill persons or elderly persons at a discount to their face value." O.K. a little ghoulish, but still a great service to those who need funds and want to sell their life insurance. Last quarter? 1st quarter 2007 results were announced June 14, 2007. Revenue climbed to $17.6 million from $6.2 million in the same quarter the prior year. Net income was up fabulously to $4.7 million or $.49/share, up from $.2 million or $.05/share the same quarter the prior year. WOW! Not quite as pretty a picture actually. Looking at the Morningstar.com "5-Yr Restated" financials, we see that revenue climbed sharply from $2 million in 2002 to $9 million in 2005. However, revenue dipped to $8 million in 2006 and then back up to $9 million in the TTM. However, with revenue in the latest quarter at $17.6 million, the numbers are back on track in a big way! Earnings have also been all over the place with improvement from a loss of $(.11)/share in 2002 to $.28/share in 2005, before dipping to $.12/share in 2006 and $.14/share in the TTM. Again, with $.49/share in the latest quarter (! ), all bets are off. So while not a perfect steady picture, the latest numbers are way above the previous trends. The company has been paying a dividend since 2002 and increasing it from $.03/share in 2002 to $.15/share in 2006 and $.21/share in the TTM. The number of shares outstanding has been fairly stable at 9 to 10 million. I don't have any numbers on free cash flow and nothing shows up on the balance sheet on Morningstar.com. Let's take a look at the chart, checking the "Point & Figure" chart on LPHI from StockCharts.com, we can see the meteoric recent rise which hasn't quit. O.K., back to your question. I find this particular stock intriguing because of the latest quarter report and the fabulous technical price action. However, it doesn't really fit into my own strategy of steady growth and I don't have some numbers on that Morningstar.com page that I depend on for my write-ups. Probably you can get that information elsewhere, and that doesn't mean it is a bad investment. It just doesn't fit into my particular strategy exactly. So I can't give it a "buy." But that isn't really your question is it? You want to know what to do about a "rocket' like LPHI that is moving straight up. Would I buy shares in something like this? The answer is you bet your sweet bippy I would. I buy stocks that are showing strong daily momentum on days when I have a "permission slip" to be buying. Of course I require everything else to be intact. And I am missing some data on this particular company. So I probably would pass over it. I am not afraid of buying a stock that has already moved higher 200% that year. Where does this fear come from? Personally I believe that there is a little bit of superstitious belief that stock motion is somehow like random Brownian movement. Kind of like "what goes up must come down!" And the belief that it is wisest to "buy low and sell high". But in reality, I regularly buy stocks that are moving higher. And have already moved significantly higher before I purchase them. I am not so brilliant to anticipate higher price moves. I would rather be observant and identify stocks that are already moving higher that have the fundamentals behind them that I believe may increase the probability of a higher price move yet! How do I do this and yet sleep soundly each night? It is because when I buy a stock I do not marry them for life. I am ready to part with my stocks at the drop of a dime....actually at the drop of 8%. Sometimes that happens a day or two after my purchase. Seriously. Knowing that I can exit any of my stocks and that I have a plan to exit before I enter adds a bit of confidence to me. Of course stocks can gap down further than 8% and then I could take a larger loss at any time. However, in general if the fundamentals are as strong as I require, then that gapping down is unlikely. But I am prepared anyhow. So don't look back. Don't look down when in high places. But look ahead and think confidently. Buy the strongest stocks. Be confident that you are prepared to pull the plug at any time as required by your own trading rules. And good luck! "Hi Robert, I really appreciate your views and I have to say you write in a very understandable way - much appreciated! Your canslim method is very similar to the one I employ. I have just read Lichello's book based on the AIM system. Do you apply that to your portfolio? I noticed that you mention in one or two of your blog entries that your portfolio has not given a buy signal. 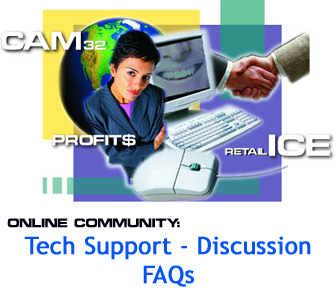 Could you elaborate how you apply AIM to Canslim? Thanks so much for writing Glen! Thank you for your kind words. First of all, for those people who don't know what CANSLIM is here is a nice reference from the Investor's Business Daily on this strategy. Basically, the CANSLIM system is looking for stocks with strong price momentum as well as strong earnings results who are at new highs, or doing something new, with not too many shares, a leader, institutional sponsorship and a market that is supportive of the price move. I have drawn a few things from this strategy and have emphasized examining stocks not that are just making 'new highs' but rather moving strongly higher that particular day. I am also interested in finding stocks with other factors like increasing dividend, reasonable PEG ratio, and stable outstanding shares, positive free cash flow, and a nice balance sheet. I also read Robert Lichello's book, How to Make $1,000,000 in the Stock Market Automatically, and appreciated some of his insight. Lichello developed his proprietary AIM system, which really was about automatically responding to market influences by shifting money between two funds, as I recall, basically a cash or money market account and an aggressive mutual fund account. This way, when stocks declined, an automatic "signal" would be triggered to transfer money into equities and when stocks climbed enough, a similar signal would be triggered to transfer money back into cash. I am probably not doing justice to Lichello, but that was the gist of the book as I understood it. The important part that I drew upon was the need to develop some sort of system to respond to market forces. Yet utilize the wisdom of CANSLIM and identify stocks that were the strongest to own. How could I integrate these two disparate strategies? I recall reading in O'Neil's classic text, How to Make Money in Stocks, that I have found so inspirational a comment about the "M" in CANSLIM. That sometimes your portfolio is talking to you so to speak :). The problem in selling at 8% loss limits as O'Neil suggests is the need to avoid the temptation of buying another 'great' stock immediately when the M or Market is declining. O'Neil points out that when you are hitting these sale points you should listen to your portfolio as it is telling you that the market is LOUSY. And it isn't the time to be buying stock. But that was only 1/2 of the equation. I needed to have another signal. That is a signal that would tell me when it was a good time to be buying a new position. I chose to set up sale signals on the upside. I sell portions of my holdings (currently 1/7th of the remaining position) if a stock hits a 30, 60, 90, or 120% level, then increasing intervals to 180, 240, 300 and 360%, then again increasing intervals to 450%, 540%, 630%, and 720%, etc. At each of these levels I sell a portion of my holdings and use this as a signal that times are indeed good and have a "permission slip" to add a new holding. This isn't exactly the AIM system at all. This is just what I do. But it was the AIM system and the O'Neil comments that inspired me to think about "listening" to my portfolio. I call this the "Zen" approach. 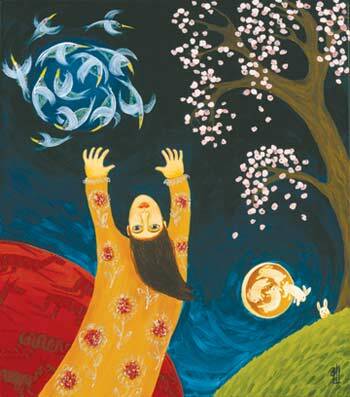 Observing the things around us that we otherwise miss. This is how I combine AIM and CANSLIM. I hope my thoughts and approach are helpful to you. I truly am an amateur so take that into consideration. Thanks so much for reading and writing. Looking through the list of top % gainers on the NASDAQ, I came across Hardinge (HDNG), a stock that I have seen make the top % list a few times in the past few weeks. Hardinge closed at $35.45, up $2.61 or 7.95% on the day. I do not have any shares nor do I own any options on this stock. Let's take a closer look at this stock which has also been part of the IBD 100 list recently. "...through its subsidiaries, engages in the design, manufacture, distribution, and marketing of computer controlled metal-cutting lathes, machining centers, grinding machines, collets, chucks, indexing fixtures, and other industrial products. It also offers workholding devices for machine tools. The company provides its services to aerospace, automotive, construction equipment, defense, energy, farm equipment, medical equipment, recreational equipment, telecommunications, and transportation industries, as well as to small and medium-sized independent job shops." On May 10, 2007, Hardinge reported 1st quarter 2007 results. Net sales for the quarter came in at $87 million, up 15% over the $75.4 million in net sales for the same quarter in 2006. Net income was $5.3 million or $.60/diluted share, up 173% from net income of $1.9 million or $.22/diluted share in the same quarter in 2006. Orders for the quarter came in at $95.6 million, up 25% compared to the $76.7 million in orders for the same quarter in 2006. Reviewing the Morningstar.com "5-Yr Restated" financials on Hardinge (HDNG), we can see that revenue has been steadily increasing from $169 million in 2002 to $327 million in 2006 and $338 million in the trailing twelve months (TTM). Earnings have been a little less consistent, dropping from $.23/share in 2002 to a loss of $(1.30)/share in 2003. The company returned to profitability in 2004 with $.50/share in earnings and has grown earnings steadily to $1.58/share in 2006 and $1.96/share in the TTM. Hardinge, after paying $.10/share in dividends in 2002, cut it back to $.02/share (at the same time as it turned to a loss from a profit). However, since 2002, the company has raised its dividend each year with $.14/share paid in 2006 and $.16/share in the TTM. The company has maintained outstanding shares at a steady 9 million. Free cash flow which was a negative $(12) million in 2004 and $(11) million in 2005, turned positive in 2006 at $3 million, and has been $2 million in the TTM. The balance sheet appears solid with $15.4 million in cash and $227.2 million in other current assets reported. This total of $242.6 million, when compared to the current liabilities of $75.5 million yields a healthy current ratio of 3.21. In addition, the company has a modest $106.6 million in long-term liabilities. Checking the Yahoo "Key Statistics" on Hardinge, we can see that this is a small cap stock with a market capitalization of $315.15 million. The trailing p/e is a moderate 18.04 with a forward p/e of only 15.76. No PEG ratio is reported. Looking at Fidelity.com eresearch website for more information, we find that the Price/Sales ratio (TTM) also is reasonable for HDNG coming in at 0.86, with an industry average of 1.51. In terms of profitability, the company doesn't do quite as well with a Return on Equity (TTM) of 11.18% compared to the industry average reported on Fidelity of 23.12%. Finishing up with Yahoo, we find that there are 8.89 million shares outstanding with 7.19 million that float. As of 5/10/07, there were 175,950 shares out short representing 2% of the float or only 0.9 trading days of volume. This doesn't appear significant to me. The company currently pays a forward annual dividend of $.20/share yielding 0.6%. The last stock split was a 3:2 split in June, 1998. 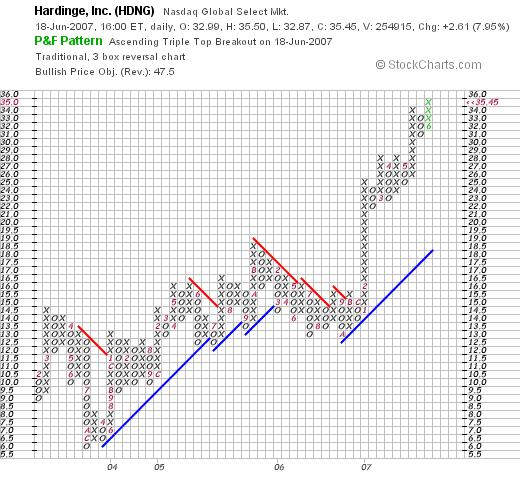 If we review a "Point & Figure" chart on Hardinge (HDNG) from StockCharts.com, we can see that the stock which dipped to $6.00 in December, 2003, climbed to $18.50 in November, 2005, only to pull back to $12.50 in October, 2006. Since that time, the stock has broken through resistance climbing sharply in February, 2007, from $16 to $25. Recently, the stock has been pushing higher once again into the $35 range this past month. The chart looks quite strong to me. Quite frankly, I like this stock a lot. You all may figure I haven't yet met a stock I haven't liked....and that is almost true :). But seriously, the company had a terrific quarter with blow-out numbers on earnings. They have been steadily increasing revenue. They even pay a dividend and have been increasing it! The number of shares is small but steady, free cash flow is now positive, and the balance sheet is solid. Valuation-wise, the Price/Sales ratio is quite reasonable although the Return on Equity is a bit under the average. Finally, the chart looks very strong! If I were in a position to be buying a stock, this is the kind of stock I would be buying today! Meanwhile, I shall add it to the blog and keep it in my "vocabulary" of investable stocks. Thanks so much for stopping by and visiting my blog. If you have any comments or questions, please feel free to email me at bobsadviceforstocks@lycos.com or just leave a note right on the website. If you get a chance, be sure and visit my Stock Picks Podcast Website, where I discuss many of the same stocks I write about here on the blog. A Reader Writes "When you are faced with this situation...."
I was delighted to get another letter from Eric N. (no kidding!) who has been an enthusiastic reader of this blog and a frequent correspondent here. Eric wrote with some questions about stock splits. Thanks for the posts, and for talking about what is going on in your life. Generally I would wait awhile before asking another question, but I was surprised by something that happened with one of my stocks today. It turns out that one of mine split (2:1). I am hoping this is a good thing. The only thing that threw me for a loop is the change in price and determining the 8% drop to sell. When you are faced with this situation do you set the sell-all price (assuming no appreciation level has been hit) at 8% lower than half of the original buy price, or 8% lower than the current split price, or something completely different? Thanks for the thoughts and again I am sorry about the barrage of questions lately, new things are coming at me all the time and you always seem to explain things in a way that just makes sense. Eric, first of all don't worry about asking questions :). Your questions have been straight forward and not really so simple as you might think. And they give me the opportunity to review some things which I might think everyone knows and I just take it for granted. So your letters and comments are appreciated. And I hope I don't bore anyone talking about Chinese Food, Ice Cream, and Garrison Keillor. BTW, I certainly don't receive any money from the places I have mentioned. 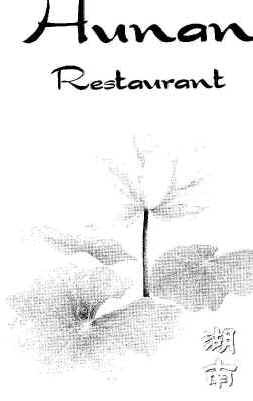 They are just the places I actually ate at or visited. I don't suspect they will receive any kind of burst of business because I have them on my blog :). "Stock splits may seem like a gift to some investors, but there is little evidence that you benefit in any meaningful way when a company splits its stock. Here’s what happens. Amalgamated Kumquats, which is currently priced at $80 per share, announces a 2-for-1 stock split. If you own 100 shares before the split worth $8,000, you will own 200 shares worth $8,000 after the split. The market automatically marks down the price of the stock by the divisor of the split. The $80 per share price becomes $40 per share. There are other splits such as 3-for-1 and 3-for-2, however 2-for-1 seems the most common." "As it turns out, many studies have shown that when companies split their stocks, those stocks subsequently enjoy abnormal returns. In other words, they outperform the market, apparently for no other reason than because they were split. One study finds a one-year abnormal return of 7% and a three-year abnormal return of almost 12%. (For reverse splits, which happen when a company re-denominates its shares to make them more pricey, the abnormal returns are negative--the mirror image of normal splits.)" From my humble perspective, stock splits are a good sign. Generally it means the stock has been rising significantly and management is 'bullish' about future prospects. That isn't a very scientific assessment, but hey, I am like every other investor, and like to have more shares of stock even if they have just been reduced in price and I am none the richer :). When you ask about what to do about the 8% loss limit. I can tell you that I don't change anything. That is, after a stock split, for this discussion we will consider a 2:1 stock split, then my basis has also split in half. That is if I purchased 100 shares of a stock at $10 and it splits 2:1 I now have 200 shares at $5. And thus, my new basis is $5. So instead of selling at an 8% loss or at 92% of $10=$9.20, I am now selling at 92% of $5 or $4.60 which you can see is also half of $9.20. It is important to quickly change your calculations to reflect your new adjusted purchase price based on the stock split. Then you can calculate whatever gain or loss you have incurred properly. Generally, your brokerage account may do it for you if you are fortunate. I know that Fidelity does this for me and that might be a service you might wish to have with your brokerage statement. I hope this answers your question properly. If not, try again :). There are no bad questions around here. Thanks again for your comments and if you or anyone else have comments or questions, please feel free to leave them on the blog or email me at bobsadviceforstocks@lycos.com. Ventana Medical Systems (VMSI) "Weekend Trading Portfolio Analysis"
I hope you all had a Happy Father's Day! I had a fairly tranquil day visiting my inlaws and running errands for my daughter as she prepares for a trip. Then we all went off to a local Chinese Restaurant, Hunan, where I had a nice dish of lamb with broccoli. Afterwards, we headed over to The Pearl Ice Cream Parlor where I had a chocolate soda while my daughter worked on an Ice Cream. It was a nice evening for this Dad, yet my diet suffered once again. So Monday, back to lots of water. Like so many Americans, and others around the world, we spend time with family and friends and yet food is the commonality that brings us together. It is now getting late, and I wanted to get this entry on the blog. I do a lot of things on this website. Lately, I am taking the time to share with all of you readers more of my life as well. I hope that you all enjoy this part of my writing. Above all I strive for transparency on this website. I am happy to talk about stocks. You can read about loads of investment scams out there and I do encourage every one of you to do your own investigations, do your own homework, consult with your investment advisers, and do whatever you need to do before listening to anyone suggest an investment whether it be on some strange website or this website by yours truly. I work very hard to share with you my ideas, give you the rationale behind them, let you know whether I own shares or not, and keep you posted on my actual trading portfolio. I have gone so far as to register with Covestor and have them monitor my actual trading portfolio and report to you all my performance in my actual holdings. I would encourage you all to visit the Covestor site for my portfolio as well as many other investors who are putting together their stocks for public review. In addition, for a third-party review of my 'picks' and the performance associated with them, I have signed up with Social Picks.com which reviews and determines my recommendations when I write up stocks. They are not perfect in this but they are pretty good and you can visit my stock picks evaluation on Social Picks which is current as of 1/22/07. (Thus there are many earlier picks which are not included on this review). These new additions are wonderful ways of verifying the usefulness of my writing. Some people may ask why I blog. I don't have a very good answer. I believe that after all of the years investing that I have done, I have something to offer other investors. I believe that my thinking is on the mark, my management of portfolios innovative, and that the built-in timing mechanism to move into and out of equities while not perfect, is a clever addition for any investor. I hope so. And this blog is an excellent way for me to improve my own techniques. I sometimes dream that it will become something much bigger for me. Perhaps another career or writing opportunity. It is always nice to dream! So I hope you can see that when I write, I try to offer honest appraisals of stocks and transparent analysis sharing with all of you what I own, when I buy and when I sell, and why I do all of this. I was going to write about Ventana Medical Systems (VMSI) another of my holdings before I got sidetracked about Chinese food, Ice Cream and blogging. I am not sure all of these go together very well :). I know this will be difficult for me, but let me try to be brief with this post. One of the tasks I have assigned myself on this website, is to go through my stock holdings, one at a time, and share with you my actual experiences, my actual trades involving my stocks, and review their current status. If possible, I shall be briefer than usual on this one tonight. I am currently at my new maximum of 20 positions (I may go to 25 if I ever pay down my margin balance.) On May 19, 2007, I reviewed my Meridian Bioscience (VIVO) holding. Going alphabetically (by symbol) I am up to Ventana Medical Systems (VMSI). I currently own 162 shares of Ventana Medical Systems (VMSI) which were purchased 4/16/04 at a cost basis of $23.47 per share. Ventana closed at $53.08 on June 15, 2007, for an unrealized gain of $29.61 or 126.2% since my purchase. As is my strategy, I have taken gains at the 30%, 60%, 90% and 120% appreciation levels. Currently I am selling 1/7th of my holdings at each point, but when I started this process, I was selling 1/4 of my holdings at each appreciation level. 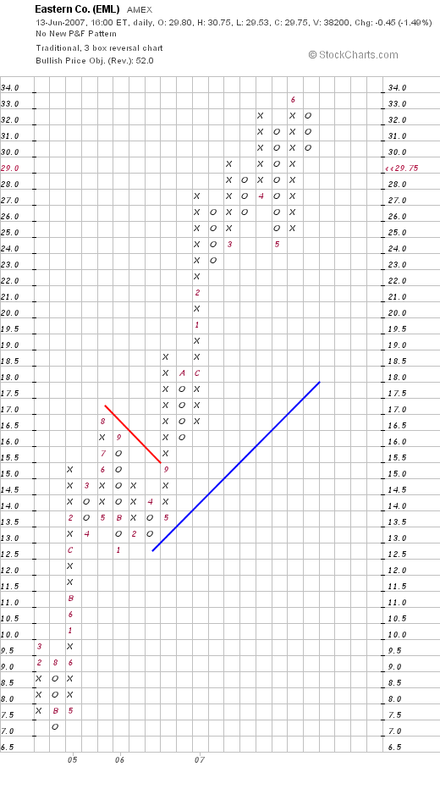 Here is the current "Point & Figure" chart on VMSI from StockCharts.com with my discussions and actual purchases marked out. I first discussed Ventana Medical Systems on Stock Picks Bob's Advice on Decembere 23, 2003. I first purchased shares of Ventana four months later on 4/16/04 and have sold shares four times since. I "revisited" Ventana Medical Systems on January 13, 2005, when the stock was trading at $64.36 ($32.18 adjusted for a 2:1 stock split later that year). Let's take a look at some of the more recent information. 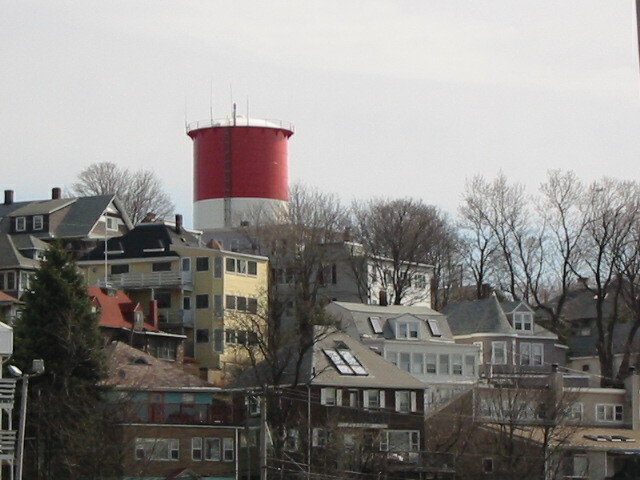 On April 27, 2007, Ventana reported 1st quarter 2007 results. Sales came in at $64.4 million for the quarter ended March 31, 2007, up 19% over the same quarter the prior year. Net income was $18 million or $.50/diluted share, up sharply from last year's $5.0 million or $.14/diluted share. However, removing a one-time income of $12.3 million or $.34/share this year, the results are still good but not as spectacular with $42.1 million vs. $18 million, and $.16/share, up from $.14/share. Without going into details (check them yourself), the "5-Yr Restated" financials on Morningstar.com are intact with steady revenue growth, steady earnings growth, relatively limited shares outstanding, growing free cash flow, and a solid balance sheet. Regarding valuation, looking at Yahoo "Key Statistics" on VMSI, we can see that this is a mid-cap stock, the p/e is a bit rich at 43.26, with a PEG a bit rich as well at 1.79. With the rich valuation also comes a lot of short-sellers with 3.01 million shares out short as of 5/10/07, representing 9.10% of the float or 6.7 trading days of volume. The last stock split was 3/15/05 when the company split its stock 2:1. To summarize, I still like this stock. They are quietly cranking out earnings and revenue growth, and the stock price is appreciating alongside all of this. However, valuation is indeed a bit rich and their are a lot of naysayers waiting for VMSI to falter. If they continue to do well, there will also be a lot of short-sellers scrambling to cover their negative bets. Thanks so much for visiting! If you have any comments or questions, please feel free to leave them on the blog or email me at bobsadviceforstocks@lycos.com. If you get a chance, be sure and visit my Stock Picks Podcast Website, and if I get a chance, I shall be podcasting a new episode soon. As part of my weekend routine, I have been trying (albeit not always successfully) to review past stock selections to find out how this multitude of stock picks has been turning out. These evaluations assume a buy and hold strategy. In fact, I advice and implement a very disciplined selling strategy for my portfolio where I sell my losing stocks quickly and completely and my gaining stocks slowly and partially at predetermined targeted appreciation levels. This difference in management of stocks will certainly affect performance and this evaluation is no exception. Please take that in mind when assessing this review. I missed a review last weekend. However, back on June 2, 2007, I did my Weekend Review and reviewed picks from the week of January 9, 2006. Going ahead a week, let's take a look at the pick from January 16, 2006. I am fortunate that during that week I selected only one pick, a great stock that I also now own, Bolt Technology (BTJ). 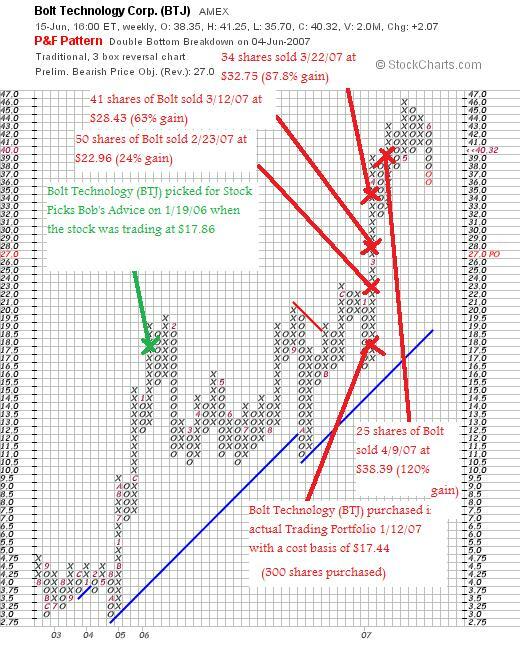 On January 19, 2006, I selected Bolt Technology (BTJ) for Stock Picks Bob's Advice when the stock was trading at $17.86. Bolt closed at $40.32 on June 15, 2007, for a gain of $22.46 or 125.8% since posting! Let's take a look at the "Point & Figure" chart on Bolt from StockCharts.com. I have added in my 'pick price' and my purchase of Bolt shares a year later at virtually the same price. I have also included my partial sales of Bolt as the stock has quickly climbed from the purchase price. 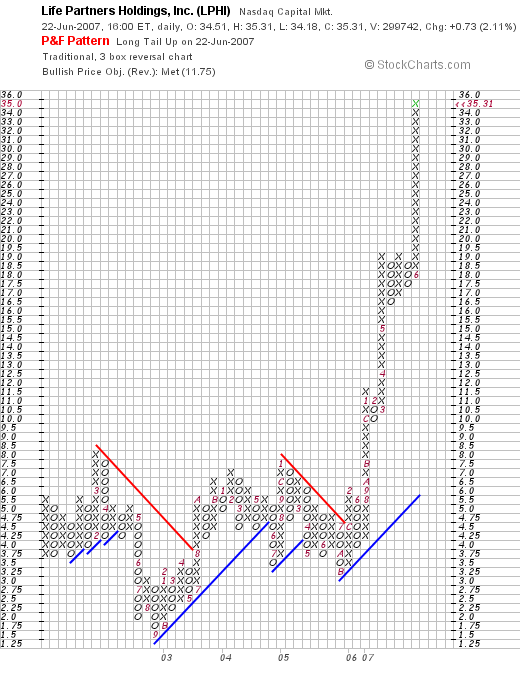 The chart, even after a small pullback recently that I blogged about recently, still looks encouraging. On April 25, 2007, Bolt (BTJ) announced 3rd quarter 2007 results. For the quarter ended March 31, 2007, sales increased 51% to $12.7 million from $8.4 million last year. Net income was up 118% to $2.8 million or $.50/diluted share compared to $1.3 million or $.23/diluted share in the same quarter the prior year. This was a very strong report. Since this was the only stock I reviewed during the week, I had a very strong week with a stock pick that has appreciated 125.8% since posting. This is far from typical and I often write about down weeks as well, but it was a pretty nice selection, wasn't it? In addition, I now own the stock and have ridden the stock higher in a very short period of time. I have sold portions of this stock on the way up to 'hedge' my gain, so to speak, and am prepared to sell more on the way up or down. Thanks so much for visiting! If you have any comments or questions, please feel free to leave them on the blog or email me at bobsadviceforstocks@lycos.com. GameStop (GME) "Revisiting a Stock Pick"
My father hails from Winthrop. I still have a lot of family there. So this entry is dedicated to my father, Sumner, my Uncles and my cousins and all of the dads who happen to stop by and read this entry. Happy Father's Day!. I have been trying to get around to posting this stock since Friday! And here it is Sunday. And I really ought to get around to another of those "Weekend Reviews"! GameStop (GME) made the list of top % gainers Friday, closing at $39.21, up $1.95 or 5.23% on the day. I do not own any shares nor do I have any options on this stock. However, I have reviewed this stock before. On November 14, 2004, about 2 1/2 years ago, I reviewed GameStop on Stock Picks Bob's Advice when it was trading at $23.50, or actually $11.75 adjusted for a 2:1 stock split. With Friday's close at $39.21, this represents a gain of $27.46 or 233.7% since posting! Insofar as what drove the stock higher Friday, there was a report about the strong sales during the month of May which pushed the price of GameStop higher. "We believe the multiple is warranted given GameStop's dominant position as a specialty retailer of video games, its substantial infrastructure to trade used titles [providing a unique point of differentiation with customers relative to other retailers] and potential for margin expansion as new software sales increase as a percentage of the product mix"
"...operates as a retailer of video game products and personal computer (PC) entertainment software. It sells new and used video game hardware and software, and related accessories and other merchandise. The company also offers video game accessories that include controllers, memory cards, and other add-ons; PC entertainment accessories, such as joysticks and mice; and strategy guides and magazines, as well as trading cards." On May 23, 2007, GameStop reported 1st quarter 2007 results. For the quarter ended May 5, 2007, the company reported total company sales climbing 23.0% to $1,279 million, compared to $1,040 million the prior year same period. Perhaps more importantly, comparable store sales increased a very robust 15.3% during the quarter. This beat previous guidance of a 12 to 14.0% increase. Net earnings were $24.7 million, an 111% increase over first quarter 2006 results of $11.7 million. On a per share basis this was $.15/diluted share this year vs. $.07/diluted share last year. As strong as these results were, apparently they were a penny shy of expectations as analysts had expected earnings of $.16/share on revenue of $1.25 billion. So earnings were a penny light but revenue came in a bit ahead of analysts. The company did raise guidance for future results with full-year earnings forecast to $1.39 to $1.42 from $1.37 to $1.40/share previously guidance. If we review the Morningstar.com "5-Yr Restated" financials on GameStop, we can see that revenue has steadily grown from $1.35 billion in 2003 to $5.32 billion in the trailing twelve months (TTM). Earnings, which were flat at $.53/share in 2004 and 2005, have grown strongly since with $.81/share in 2006 and $1.00/share in 2007. The company has increased its shares outstanding from 112 million in 2004 to 153 million in the TTM. This 37% increase in shares has been accompanied by an increase of an over 200% increase in revenue and a nearly 200% increase in net income during this period. While I prefer to not see significant increases in outstanding shares, I am comfortable with increases in the shares accompanied by an even larger increase in earnings and revenue. Free cash flow has been positive and increasing nicely with $48 million reported in 2005, increasing to $181 million in 2006 and $290 million in 2007. The balance sheet is adequate. The company reports $652.4 million in cash and $787.9 million in other current assets. This total of $1,440 million, when compared to the $1,087 million in current liabilities yields a current ratio of 1.32. Generally, I view current ratios of 1.25 or higher as acceptable, although ratios of 2.0 or higher are generally considered "healthy". Using Yahoo "Key Statistics" on GME, we find that the market cap of this stock is a Large Cap sized $6.21 billion. The trailing p/e is a bit rich at 36.47 with a forward p/e (fye 03-Feb-09) estimated at 21.19. The PEG ratio at 1.06 (5 yr expected) suggests a reasonable valuation based on estimated earnings results. According to the Fidelity.com eresearch website, the Price/Sales for GameStop is reasonable with a value of 1.08 for the Price/Sales (TTM) compared to the industry average of 1.04. Profitability is also a bit less than average with GME coming in with a Return on Equity (TTM) of 12.96% compared to the industry average of 18.22%. Finishing up with Yahoo, there are 158.46 million shares outstanding with 144.15 million that float. As of 5/10/07, there were 3.73 million shares out short representing 2.6% of the float or 2.1 trading days of volume. This doesn't appear significant to me. No dividends are paid, and the last stock split reported by Yahoo was a 2:1 split on March 19, 2007. 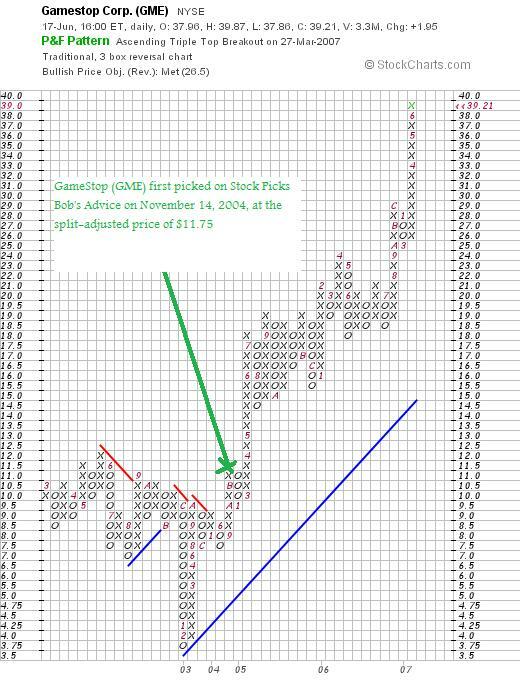 If we review the "Point & Figure" chart on GameStop from StockCharts.com, we can see that the stock has been on an absolute 'tear', climbing sharply from the lows of $3.75 in February, 2003, to the current level of nearly $40. The stock looks a bit over-extended over the short-term, but the price direction certainly appears to be strongly higher. Well, I first of all wish I had purchased shares of this company when I first wrote it up :). But I cannot buy everything I write about. No matter how much I would like to. But this stock deserves a place on this blog and a place in my investing vocabulary. To summarize a few of the things I have written about, the stock has recently moved strongly higher on the back of recent surge in video game player sales and software sales. They are reporting strong earnings as well as important same store sales growth with strong revenue numbers being reported in the latest quarter. Expectations, however, are quite high for this company and it is not a tiny stock that is going under the radar. Valuation is rich with a p/e over 30 and nearly 40. However, with the rapid growth, the PEG is barely over 1.0. Also, Price/Sales and ROE figures are fairly 'ho-hum' compared to its peers. Finally the chart is quite strong. How does this all add up? Basically I still like this stock. But I would be cautious based on valuation and the technical over-extended appearance of the chart. That is where those 8% loss limits are so important. If I were buying shares of a stock on Friday, this would be the kind of stock I would be buying. But then again, I don't have any kind of 'permission slip' to be buying so meanwhile, the company stays in my list of 'investable' companies! Have a great Father's Day everyone! If you get a chance, say hello to all of my friends in Winthrop and all of my Uncles, Cousins, and Friends who are also I hope having a special day with their families. If you have any comments or questions, please feel free to email me at bobsadviceforstocks@lycos.com or just leave them right on the blog. If you get a chance drop by and visit my Stock Picks Podcast Website. And if I get a chance, I shall try to make time to post a new podcast in the next day or two! 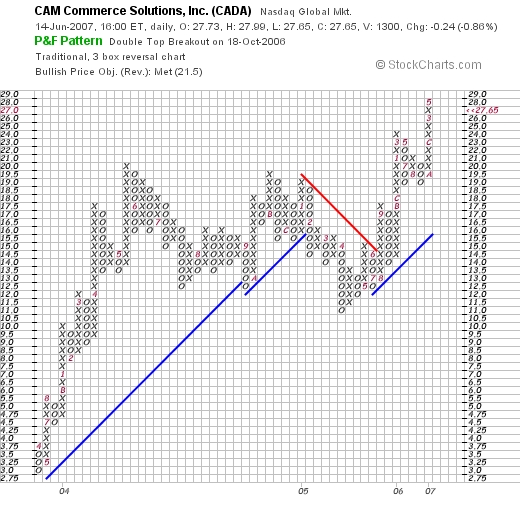 CAM Commerce Solutions (CADA) "A reader suggests a Stock Pick!" I have had a series of emails from Doug S. who has some great ideas about stocks and helpful insight for me. Usually I come up with the names around here. But I have had other readers who suggested other stocks, including Precision Castparts (PCP) which was suggested by a reader and which eventually became part of my own Trading Portfolio! that hasn't been reflected yet in % comparisons. I really haven't run across anything that resembles this since the likes of Seas Candy and Blue Chip Stamps in the mid seventies which Buffet picked up for Berkshire. Would really appreciate your thoughts. Thanks." Well I didn't get around to looking at CADA much except what I saw I basically liked. "Hi; Started a position(700) today in captioned. Nothing not to like about this(check insider activity). Regards, Doug"
Let me share with you what I found out about CADA and I am sure that Doug will have more to add on this in the future. Before I get to that, let me briefly touch on the subject of 'insider trading'. The theory goes that people on the inside will have a good feel for the business prospects of a company, and that if insiders are buying, this is a 'bullish' signal for the stock. This paper documents that insiders are both contrarians and possessors of superior information. We find that insider trades are positively related to the firm's future earnings performance (proxy for superior cash flow information), positively related to the firm's book-to-market ratio and inversely related to recent returns (proxies for trading against misvaluation). Each relation has incremental explanatory power, yet information about future cash flow changes explains a smaller portion of insider purchases than do proxies for security misvaluation. The relation between insider trades and future earnings performance is amplified (attenuated) as the benefits (costs) to trading on financial performance information increase." Thus, there is academic support to this view that insider buying may well be predictive of future earnings and thus price appreciation. So Doug's observations, once again, are on the mark and worthy of consideration! "...engages in the design, development, marketing, installation, and servicing of integrated retailing and payment processing solutions for small to medium size traditional and eCommerce businesses based on its open architecture software. It offers retailing systems and solutions consisting of software, hardware, installation, training, and technical support services, as well as Web hosting services." On May 2, 2007, CAM reprted 2nd quarter 2007 results. For the quarter ended March 31, 2007, revenue climbed 13% to $7.3 million compared to $6.5 million for the same quarter in 2006. Earnings grew 100% to $854,000 or $.20/share, up from $417,000 or $.10/share in the same period the prior year. As small as this company is, they announced a dividend and announced that the dividend would be increasing 43% to $.20/share, up from a dividend of $.14/share last year. Looking at the Morningstar.com "5-Yr Restated" financials, we can see that this is a very small company with revenue of $20 million in 2002, $20 million in 2003, then increasing to $27 million in 2006 and $28 million in the trailing twelve months (TTM). Earnings, as is often the case in these small companies, has been erratic, with $.09/share in 2002, a loss of $(.04)/share in 2003, $.57/share in 2004, $.44/share in 2005, then increasing to $.64/share in 2006 and $.79/share in the TTM. The company paid a dividend of $.10/share in 2005, increased it to $.42/share in 2006 and is paying $.45/share in the TTM. The total number of shares is small and fairly stable with 3 million shares outstanding in 2002, increasing to 4 million in 2004 but staying stable at 4 million in the TTM. Free cash flow is small but positive with $3 million reported in 2004 and $4 million in 2006 and the TTM. The balance sheet is solid with $25.3 million in cash which by itself can pay off both the $4.2 million in current liabilities and the -0- in long-term liabilities combined. In fact, calculating the current ratio, we get a total of $28.9 million in current assets, which when compared to the $4.2 million in current liabilities, yields a current ratio of 6.9. Generally, ratios of 1.25 or higher are considered healthy. "Micro cap refers to a company with a market capitalization of between $50 million to $300 million." Continuing with Yahoo "Key Statistics" on CADA, we find that the trailing p/e is a moderate 35.0, there are not forward p/e's nor PEG ratios because of the apparent lack of analysts providing these estimates on this tiny company. Examining the data from the Fidelity.com eresearch website, we can see that the Price/Sales (TTM) is reasonable at 3.94, compared to the industry average of 5.57. As measured by Return on Equity (TTM), the company is not as profitable as its peers with a ROE (TTM) of 13.3%, compared to an industry average of 25.03%. In terms of insider transactions, Yahoo reports that in the past 6 months there as been a net of 27,034 shares purchased by insiders. Institutional purchases have also been a net of 111,843 shares added to institutional holdings with this being an 8.3% increase in the total held. Both of tese statistics are bullish for the stock. Yahoo reports that there are 4.05 million shares outstanding with 2.96 million that float. Currently, as of 5/10/07, there were only 5,850 shares out short representing 0.2% of the float or 1.1 trading days of volume. This doesn't appear significant at these levels. As noted above, this company does pay what works out to be a significant dividend of $.80/share (going forward) with a forward yield of 2.8%. No stock splits are reported on Yahoo. 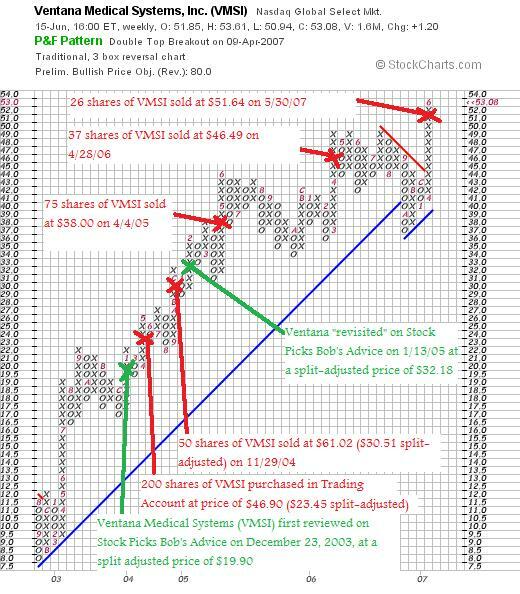 Looking at the "Point & Figure" chart on CADA from StockCharts.com, we can see that the stock made a large move higher from April, 2003, when the stock was trading at $3.00/share, to a peak of $20 in May, 2004. The stock then traded in a tight range between $20 and $11, before breaking to the upside in Novembger, 2006, pushing higher to $24, and now once again pushing higher to the $27 level. The chart looks encouraging to me! Well, I believe that Doug S. has picked a great, but tiny stock. Like all small companies, we are often faced with significant volatility. However, the latest quarter was solid, the Morningstar report was solid especially the past few years. The company even pays a dividend and is raising its payment. The number of shares, while small, is stable, and the company is generating free cash flow. The balance sheet, while also showing small numbers, is solid with a great current ratio. There really isn't much not to like as Doug has stated! I sure appreciate your contribution Doug and shall be adding this stock to my vocabulary of stocks here on the blog. Maybe one day I shall have the opportunity to actually own some shares! Thanks so much to Doug and all of you who visit and especially contribute here on this website. You all are really my friends! If you have any comments or questions, please feel free to leave them on the blog or email me at bobsadviceforstocks@lycos.com. Please include your first name and general location. Helps me keep things interesting. A Reader Writes "What are your thoughts when you are in a situation like this:"
I hope you have enjoyed your day. I am always happy to see the stock market take an upswing and cover the previous day's decline. For me, this means that the positions I own go up also... well, usually. The stock market has sharply declined (if a 1% drop is considered a sharp decline) and the following day the market rebounds to pretty much cover that 1% drop. So, the stocks that fell in price the previous day (potentially days) have recovered... BUT... not all of your stocks rebound, and instead there are a "few" that fall even more. What are you thinking in a situation like this? Any thoughts on why the stock didn't rebound like the rest of the market? Thanks again for writing. You have raised an excellent question. We know that one of the largest influences on stock prices is the Market, the "M" in CANSLIM, as William O'Neil would explain. But there are also many stock-specific events that we may not even be aware of that can explain why a stock may move contrary to the market. Things like a big investor or mutual fund sellling its position, or the fact that the stock has been recently been over-performing the market and now other stocks are moving higher in a sort of sector rotation. In other words, I never know why a stock doesn't move as I expect it to move. I stick with my own trading rules. I am patient when patience is called for. I sit on my hands when sitting on my hands is the right thing to do. I act when action is required. If I need to sell a position, I enter the sell. Otherwise I am patient. It has been my strategy to avoid second-guessing the market. Thus, I do all of my thinking and analysis at the time of purchase. After that, I spend a lot of time observing my stocks and not trying to figure them out. It sure does make life easier for me! I am not sure that quite answered your question. But I believe you got the gist of the answer! If you have any other comments or questions, please feel free to leave them on the blog or email me at bobsadviceforstocks@lycos.com. A Reader Writes "EML Sometimes it pays to shake the trees." initiated the recent/ initial move in the stock. contract and certain acquisitions which brought into question the subject of organic growth. The latter was the reason that BEZ has never turned me on. That said since I probably could have gotten in at around 24 /25 my analysis cost me about a 5 point move(("Even paranoids have enemies" H. Kissinger). The classic recent example of this syndrome(ie:quality of earning, organic growth) is the activity surrounding ROCM over the last few months where the initial move started with an earnings report that had all the transparency of a Chinese fire drill and I'm sure end in the fact that for every person who went to the bank on the way up ten got crucified on the way down." Thank you so much for writing. As always, I have come to expect and appreciate your insightful assessment of reports that I have probably read in far too superficial a fashion. Much like "same-store sales growth" which I like to discuss when looking at retail firms, it is indeed helpful to assess the role of acquisitions and one-time events and settlements on revenue and earnings reports. If we look at the 1st quarter Eastern Company (EML) earnings report, we can see that even taking into consideration these items, the underlying results were still quite satisfactory. You can see that even without these one-time events and acquisition-related revenue/earnings, things haven't been going too badly with EML. It is hard to know exactly why EML hasn't behaved better the past several trading days. Even with the indices moving strongly higher today, the stock lagged the rest of the market. EML today closed at $29.75, down $(.45) or (1.49)% on the day. Probably the biggest problem with The Eastern Company is its small market cap and small float: the market cap is only $165.95 million, and there are only 5.58 million shares outstanding with 4.80 million that float. This makes the stock very volatile from my perspective and difficult for large investors to move into and out of positions without moving the stock price in those moves. Again, as you look at the chart, I think you will see what I see, which simply put means that the stock price has had a huge appreciation over the past two years and that the price decline recently appears more to be 'profit-taking' than some breakdown of the price support of this equity. Regardless of all of this head-scratching, analysis, and second-guessing, the fact remains that the stock has indeed declined in price from the stock pick level. If I owned this stock, and I do not have any shares, I would be selling the stock if it hit an 8% loss and not looking back. I would not be reinvesting the proceeds unless I was at my minimum investment level. There is nothing 100% about anything I pick or write about on this blog. There is much risk with every investment and with the smaller companies the risks as well as the rewards are usually greater. That is why it is important to have trading rules. To have a portfolio of stocks. And to follow rules that dictate your own trading activity regardless of what you might actually think about the true value or the validity of the earnings reports. Sometimes it is helpful to shake the trees. But sometimes it is helpful to just sit back, think quietly, and appreciate the beauty of each tree as it comes together to make that forest. And instead of shaking trees that don't seem to fit or work out maybe it is time to remove them from your patch of woods and settle on a new seedling. Thanks again to all of you for visiting and commenting and adding your thoughts and passion to investing. Not Seeing the Forest for the Trees! Sometimes it is hard to see the big picture. I have had a lot of questions about The Eastern Company (EML). Some readers of this blog have either purchased shares of EML or have used this stock in 'virtual' portfolios. The result either way has been the same. The stock has declined. In fact, many of my own stocks have declined as well. Is there something wrong with these stocks? Or is there something else going on? Are our stocks proverbially 'talking' to us? Is our portfolio telling us something? I believe so. As I have written so many times, it is important to respond to what our stocks do. When they decline, let them go. But do not replace them immediately (unless I am at my 'minimum' stock exposure). Because their actions may well be reflecting a problem not with technique, not with individual stocks, but with the market itself. The market is talking to us through our own stocks. No matter how brilliant we think we are, how smart we have been and figured things out, the market will bring us back to earth each and every time. So do not look too closely at any particular holding to figure it out. When things do not appear to be acting as we expect them, then it is time to readjust not our thinking but our perspective. 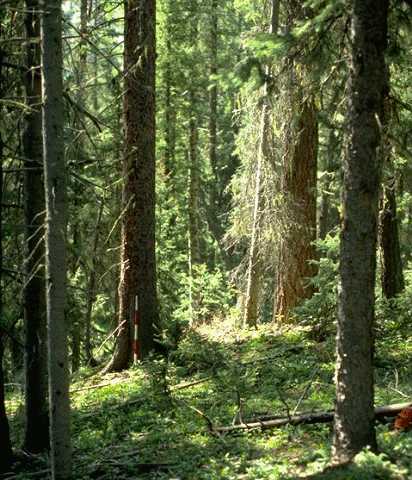 Like the trees blocking out the forest, our stocks can block our view of the stock market. And the market bears are out. And they are growling. And it is time to be observant and thoughtful as we respond.